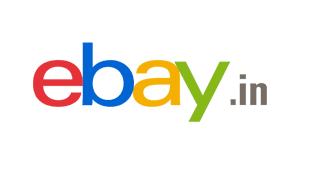 If you are going to purchase any stuff from ebay.in, Our ebay coupons will help you in getting up to 7% off or Maximum of INR.750 on any purchase whichever is lower of both will be considered. All coupons are valid till 31 December, 2013. Do comment the coupon code on every successful use so that we can update unused coupons on regular basis. Last updated on: 27 November, 2013. This is a Sponsored post written by me on behalf of Zurker Inc. for SocialSpark. All opinions are 100% mine. So far, we have come over popular Social Networks like Facebook, Twitter and Google Plus etc. Now it’s time to bang! Zurker is going to add a new flavor to the Social Networking World by offering free stake for its members. Its Moto is making social world more democratic and more transparent. Members are the owners, and they will get benefited from their social network. Members will have a chance to put their efforts in its growth. Unlike other social networks, which are funded by venture capital, Zurker is co-owned by many of its members. This is the only the network that serve you not to corporate interests. It gives chance to decide its new features and functions. You can feel it as your thing not someone’s. - Released on December 1, 2011. - Entered Private Beta on January 22, 2012. - Number of accounts opened 422,252. So it’s going to be next big thing. Come and enjoy the ownership of Zurker. It is currently in private beta, so you have to use this invitation link to sign up. It is yet to be launched. Hopefully, you have chance and don’t miss this opportunity .